When the Sony Xperia V hits stores sometime during the last quarter of 2012, it won't be showing up in the UK, but that doesn't mean it's banished from blighty forever. Speaking to Calum MacDougall, Head of Xperia Marketing at Sony, TechRadar learned that the Japanense firm is ready to ship its LTE enabled handsets to any markets where there is demand for them. MacDougall said: "It is in the hands of the operators and the consumers, if the consumer demand for faster network capability is there, and the operator capability is there, then we're ready. We're always going to be ready. He continued: "We've already launched the LTE Xperia Ion in the US and elsewhere, and we have the expertise and capability to launch the Xperia V in various 4G markets." 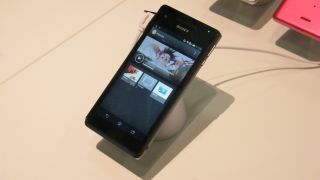 Now that Everything Everywhere has been granted permission from Ofcom to launch its 4G service in the UK before the year is out, we could see T-Mobile and Orange getting on the phone to Sony, asking for the Xperia V, and even the Xperia Ion, which has been available is the States for a while now. At the end of the day, as long as there is the demand from UK consumers for LTE handsets, Sony is more than happy to ship in units, so let's start getting excited about 4G people!